The Seminar will examine the ramifications of the new ASAI guidelines. It is important you are up to speed with the changes and their implications. 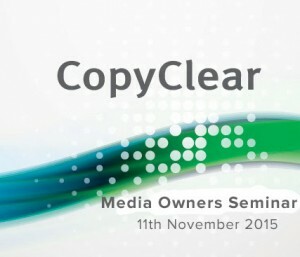 IAPI are co-coordinating this seminar with CopyClear and ASAI. Coffee & Registration takes place at 8.30am. Seminar commencing 9am sharp.